The mechanism of the anti-aging effect of Deprenyl By Professor Joseph Knoll M.D., PharmD. (Ed.- Note that Deprenyl was originally mentioned throughout the article by Professor Knoll correctly as (-)-deprenyl (selegiline), however for simplicity we have referred to it just as Deprenyl). 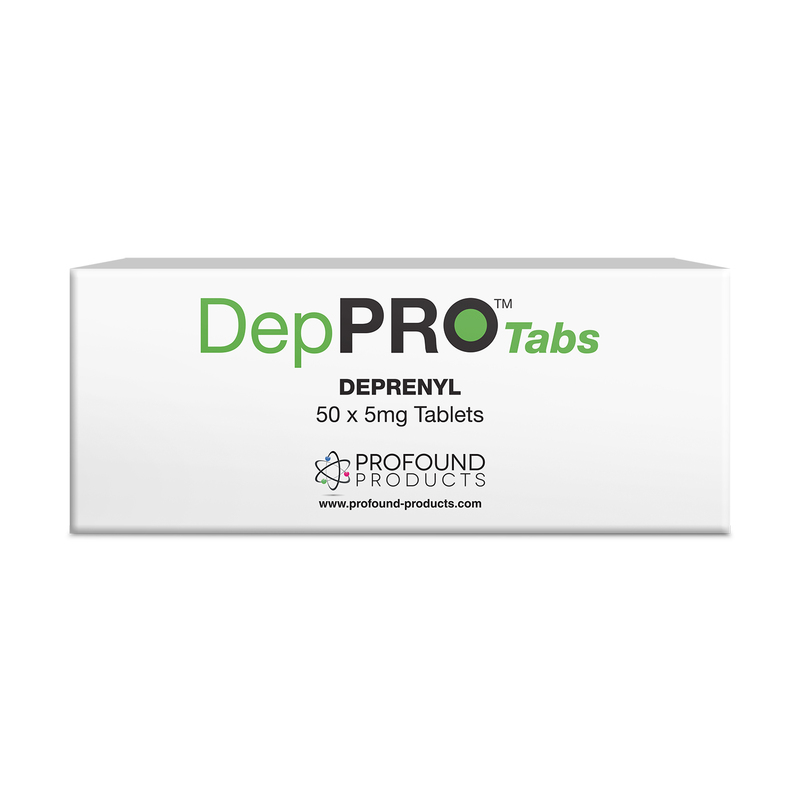 Deprenyl has been shown to slow the progression of Parkinson's disease, (Tetrud and Langston, 1989; Parkinson Study Group, 1989), and Alzheimer's disease (Sano et al., 1997), and is now a world-wide used drug, registered in 49 countries. In his excellent review, "Deprenyl the anti-aging psychoenergizer," James South summarized in the Spring 2001 IAS Anti-Aging Bulletin "the unique and exciting pharmacologic/clinical profile" of this 40-year old drug that is within the capacity of everybody, (South, 2001). This paper now aims to focus attention to recent developments which throw a new light upon the anti-aging effect of deprenyl, (see Knoll, 1998, 2001, 2003 for review). The catecholaminergic and serotonergic neurons in the mesencephalon are the best models to study the enhancer regulation, as their physiologic function is to supply continuously the brain with the required amounts of catecholamines and serotonin that properly influence - activate or inhibit - billions of neurons. The significant enhancement of the nerve-stimulation induced release of [3H]-noradrenaline, [3H]-dopamine, and [3H]-serotonin from the isolated brain stem of the rat in the presence of PEA (Fig. 1) or tryptamine (Fig. 2) is shown to illustrate the mesencephalic enhancer regulation in function. From a freshly isolated brain stem of a satisfactorily pretreated rat a stable amount of the labeled transmitter is released for a couple of hours, (see Knoll and Miklya, 1995 for methodology). Electrical stimulation of the brain stem significantly increases the outflow of transmitters. The calculated average amount of each of the labeled transmitters released from the stimulated brain stem is the product of a surviving population of specific neurons with large individual variation in their performance. Neurons respond to stimulation in an "all or none" manner. Hence, prior to the administration of PEA or tryptamine, only the high performing members of the population responded with transmitter release to electrical stimulation. As PEA or tryptamine enhance specifically the performance of the enhancer-sensitive neurons, the stimulation-evoked release of the labeled transmitter changed accordingly. deprenyl medication. Realizing that PEA, known to be a releaser of catecholamines, is an endogenous enhancer substance and deprenyl is a PEA-derived synthetic enhancer substance devoid of the catecholamine releasing property of its parent compound, clarified that it is the enhancer effect of deprenyl that is responsible for the majority of the beneficial effects of the drug described in various experimental and clinical studies, (see Knoll, 1998, 2001 for review). In a recent study the effect of (-)-BPAP was compared to that of the known stimulants of catecholaminergic and/or serotonergic neurons (desmethylimipramine, fluoxetine, clorgyline, lazabemide, pergolide, >bromocriptine) on electrical stimulation induced release of the labeled transmitters from the isolated brain stem of rats following the incorporation of [3H]-noradrenaline or [3H]-dopamine or [3H]-serotonin by preincubation into the transmitter stores. The study confirmed the selectivity of the enhancer effect of (-)-BPAP (Miklya et al., 2003). A convincing example for the age-related decline of the catecholaminergic engine in the human brain, is the rapid decline of the dopamine content of the striatum beyond the age of 45 years. According to our present knowledge the nigrostriatal dopaminergic neurons are the most rapidly aging neurons in the human brain. The dopamine content of the human caudate nucleus decreases steeply, at a rate of 13% per decade over age 45. (Ed.- See Fig. 6) We know that symptoms of Parkinson's disease appear if the dopamine content of the caudate sinks below 30% of the normal level. About 0.1% of the population over 40 years of age develop Parkinson's disease, and prevalence increases sharply with age. Thus, the normal aging of the system is slow enough to avoid the appearance of Parkinsonian symptoms within the average lifespan for 99.9% of the human population. Because of the lack of constancy of physiological age, we know that the variance within a particular age group for any measurable parameter is large. In cross-sectional studies, no single age emerges as the point of sharp decline in function. Any individual may show different levels of performance, and the careful observer finds many dissociations between "chronological" and "physiological" age. (Ed.- Antiaging advocates may refer to Professor Knoll's "physiological" age as "biological" age). Nevertheless, the age-related decline of sexual and learning performances hits everybody on his/her own level. Collating the results of experimental studies with clinical experiences there can be little doubt that the slow, continuous decline of the mesencephalic enhancer regulation during the post-developmental phase of life is in causal relationship with the decline of sexual and learning performances with the passing of time, and contributes to the manifestation of age-related neurological diseases. It therefore seems reasonable to enhance the activity of the catecholaminergic engine of the brain from sexual maturity until death via the administration of a safe, small daily dose of a synthetic mesencephalic enhancer substance. At present deprenyl is the only available drug for this purpose, and 1 mg is the proposed daily dose. This will work for decades. It will improve the quality of life in the latter period of life, hopefully shifting the time of natural death, with high probability decreasing the precipitation of age-related depression, eliminating or at least significantly shifting the precipitation of the symptoms of Parkinson's disease, and possibly reducing or delaying the onset of Alzheimer's disease, (see recent reviews, Knoll, 2001 and 2003, for details). Knoll, J. (1969) The theory of active reflexes. An analysis of some fundamental mechanisms of higher nervous activity. Pages 1-131, Publishing House of the Hungarian Academy of Sciences, Budapest, Hafner Publishing Company, New York. Knoll, J. (1994) Memories of my 45 years in research. Pharmacol Toxicol 75:65-72. Knoll, J. (1998) (-)Deprenyl (selegiline), a catecholaminergic activity enhancer (CAE) substance acting in the brain. Pharmacol Toxicol 82:57-66. Knoll, J. (2001) Antiaging compounds: (-)Deprenyl (Selegiline) and (-)1-(benzofuran-2-yl)-2-propylaminopentane, (-)BPAP, a selective highly potent enhancer of the impulse propagation mediated release of catecholamines and serotonin in the brain. CNS Drug Reviews 7:317-345. Knoll, J. (2003) Enhancer regulation/Endogenous and Synthetic Enhancer Compounds: A Neurochemical Concept of the Innate and Acquired Drives. Neurochem Res 28:1187-1209. Knoll, J., Miklya, I. (1994) Multiple, small dose administration of (-)deprenyl enhances catecholaminergic activity and diminishes serotoninergic activity in the brain and these effects are unrelated to MAO-B inhibition. Arch int Pharmacodyn Thér 328:1-15. Knoll, J., Miklya, I. (1995) Enhanced catecholaminergic and serotoninergic activity in rat brain from weaning to sexual maturity: Rationale for prophylactic (-)deprenyl (selegiline) medication. Life Sci 56:611-620. Knoll, J., Yen, T.T., Miklya, I. (1994) Sexually low performing male rats die earlier than their high performing peers and (-) deprenyl treatment eliminates this difference. Life Sci 54:1047-1057. (-)1-phenyl-2-propylaminopentane, [(-)PPAP], act primarily as potent stimulants of action potential-transmitter release coupling in the catecholaminergic neurons. Life Sci 58:817-827. Knoll, J., Knoll, B., Miklya, I. (1996b) High performing rats are more sensitive toward catecholaminergic activity enhancer (CAE) compounds than their low performing peers. Life Sci 58:945-952. Knoll, J., Miklya, I., Knoll, B., Markó, R., Rácz, D. (1996c) Phenylethylamine and tyramine are mixed-acting sympathomimetic amines in the brain. Life Sci 58:2101-2114. Knoll, J., Yoneda, F., Knoll, B., Ohde, H., Miklya, I. (1999) (-)1-(Benzofuran-2-yl)-2-propylaminopentane, [(-)BPAP], a selective enhancer of the impulse propagation mediated release of catecholamines and serotonin in the brain. Br J Pharmacol 128:1723-1732. Knoll, J., Miklya, I., Knoll, B., Dalló, J. (2000) Sexual hormones terminate in the rat the significantly enhanced catecholaminergic/serotoninergic tone in the brain characteristic to the post-weaning period. Life Sci 67:765-773. Miklya, I., Knoll, J. (2003) Analysis of the effect of (-)-BPAP, a selective enhancer of the impulse propagation mediated release of catecholamines and serotonin in the brain. Life Sci 72:2915-2921. Parkinson Study Group. (1989) Effect of (-)deprenyl on the progression disability in early Parkinson's disease. New Engl J Med 321:1364-1371. Sano, M., Ernesto, C., Thomas, R.G., Klauber, M.R., Schafer, K., Grundman, M., Woodbury, P., Growdon, J., Cotman, C.W., Pfeiffer, E., Schneider, L.S., Thal, L.J. (1997) A controlled trial of selegiline, alpha-tocopherol, or both as treatment for Alzheimer's disease. New Engl J Med 336:1216-1222. South, J. (2001) Deprenyl: The anti-aging psychoenergizer. Anti-Aging Bulletin 4:3-19. Tetrud, J.W., Langston, J.W. (1989) The effect of (-)deprenyl (selegiline) on the natural history of Parkinson's disease. Science 245:519-522.